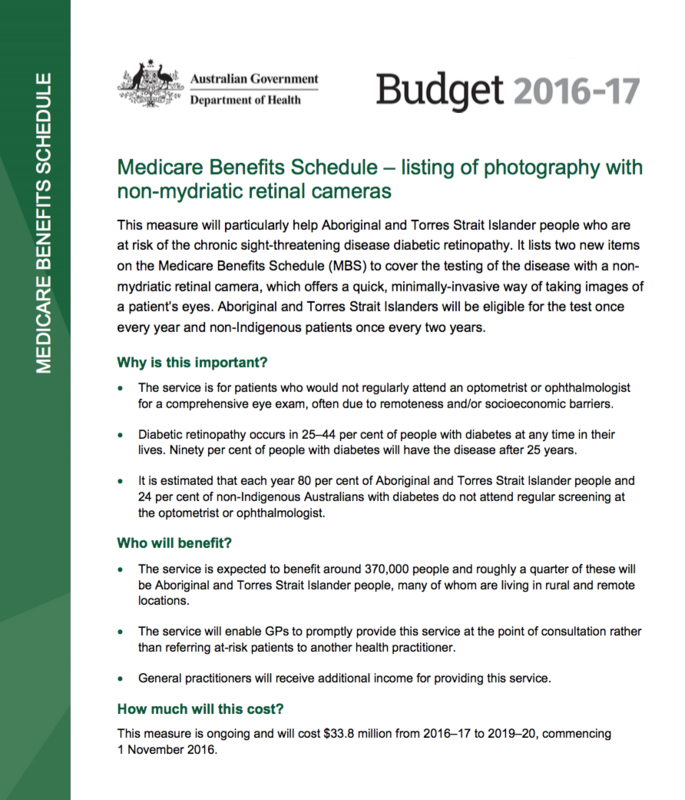 From 1 November 2016, Medicare benefits will be available for the testing of Diabetic Retinopathy with a non-mydriatic retinal camera. Patients with medically diagnosed diabetes will be eligible to receive Medicare benefits for the test once every 2 years. Patients of Aboriginal and Torres Strait Islander descent with medically diagnosed diabetes will be eligible to receive Medicare benefits for the test once every 12 months.